You’ve heard that the Belize Barrier Reef is the second longest in the world. But have you heard that this reef is home to more than 100 different kinds of coral and some 500 species of fish? This alluring underwater world is undoubtedly the top attraction in Belize. Snorkelers swim through translucent seas, gazing at a kaleidoscope of coral, fish and turtles; divers go deeper, investigating underwater caves and walls and the world-renowned Blue Hole. The turquoise waters are inviting even for those who choose to remain above the surface. Kayakers glide from one sandy, palm-dotted islet to another; windsurfers and sailors skim across the surf by the power of the breeze; sunbathers lounge on the dock, lulled into relaxation by the gentle lapping; and foodies feast on delectable fresh fish, spiny-tailed lobster and other creatures of the sea. Inland, a vast network of national parks and wildlife sanctuaries offers a safe haven for wildlife, which ranges from the industrious cutter ants to the national animal of Belize, Baird’s tapir. Bird-watchers aim their binoculars at some 570 species, which roost along the rivers and lagoons and in the broadleaf forest. 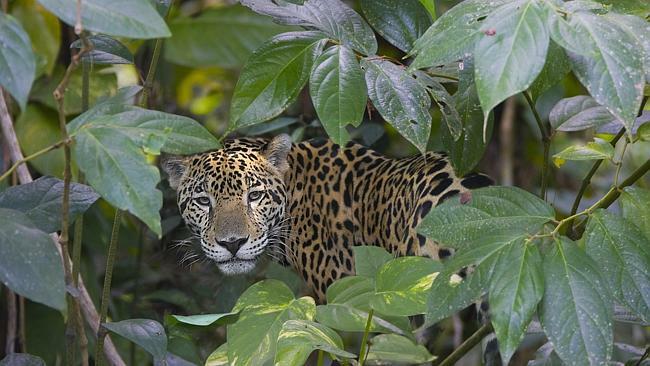 Of course, many of these birds and animals are elusive, but keen-eyed visitors can easily spot spider monkeys and howler monkeys, peccaries, coatimundis, gibnuts, American and Morelot’s crocodiles, green iguanas and countless species of birds. Even the showy keel-billed toucan – the national bird of Belize – occasionally makes an appearance in public. If that’s not enough adventure for you, Belize is also home to one of the world’s most mysterious civilizations – the ancient Maya. The country is sprinkled with archaeological sites that date to the Maya heyday, known as the Classic Period (AD 250-1000). Enormous steps lead to the tops of tall stone temples, often yielding 360-degree jungle views. Curious climbers can explore excavated tombs and examine intricate hieroglyphs, while adventurers can descend deep into natural caves to see where the Maya kings performed rituals and made sacrifices to the gods of their underworld. Lying like a string of white-sand pearls, Glover’s Reef Atoll consists of half a dozen small islands surrounded by blue sea as far as the eye can see. Its unique position, atop a submerged mountain ridge on the edge of the continental shelf, makes it an ideal place for sea kayaking, both between the islands and around the shallow central lagoon. Get a kayak with a clear bottom and you’re likely to see spotted eagle rays, southern stingrays, turtles and countless tropical fish swimming beneath as you paddle. The sheer walls of the Blue Hole Natural Monument drop more than 125 metres into the blue ocean. Although it is half filled with silt and natural debris, the depth still creates a perfect circle of startling azure that is visible from above. The wall of the Blue Hole is decorated with a dense forest of stalactites and stalagmites from times past. A school of reef sharks – as well as plenty of invertebrates and sponges – keeps divers company as they descend into the mysterious ocean depths. Dangriga and Punta Gorda both provide opportunities to study drumming and drum-making with Garifuna drum masters, but for something really special head to the Garifuna village of Hopkins to take part in a drumming ceremony at Lebeha education and cultural centre. The ceremony is led by local drummer Jabbar Lambey, whose drum jams draw drummers and other musicians from around the village, the country, and even the world. For a really swinging time, come on down when the moon is full. Belize is for the birds. Nowhere is that statement truer than at Crooked Tree, a fishing and farming village centred on a picturesque lagoon. The wetlands attract hundreds of bird species (276 to be exact), including dozens of migrants who stop on their way north or south. 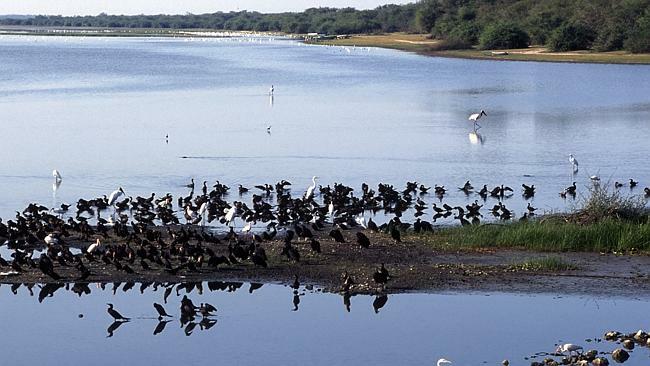 Bird-watching is best during the drier months (February to May), when the lagoon dries up and the birds congregate around the remaining puddles. Expert guides will lead you by boat or on foot to spot and identify your feathered friends. 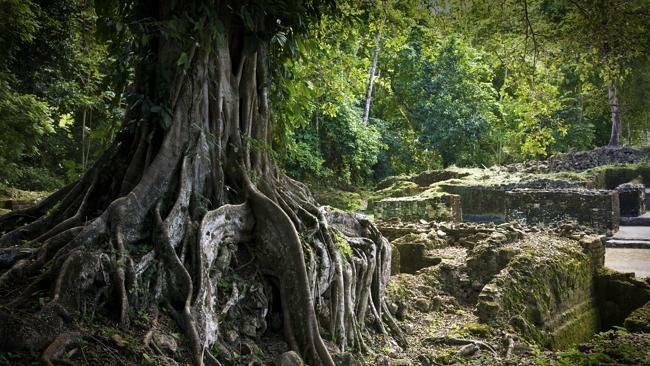 Spanning all phases of ancient Maya civilisation, the ruins at Lamanai are known for their stone reliefs, impressive architecture, and their marvellous setting that overlooks the New River Lagoon and is surrounded by some of Northern Belize’s densest jungle. Arrive at this outpost by boat, allowing up-close observation of birds and wildlife along the New River. While on site, hear the roar of the howler monkeys while climbing the steep facade of the High Temple and admiring the deformed face on the Mask Temple. Air carriers service Belize from the United States and El Salvador. Philip Goldson International Airport (BZE), at Ladyville, 18 kms northwest of Belize City centre, handles all international flights. With Belize’s short internal flying distances it’s often possible to make a same-day connection at Belize City to or from other airports in the country. This is an edited extract from Lonely Planet Belize (5th Edition) by Mara Vorhees & Joshua Samuel Brown © Lonely Planet 2013. In stores now, RRP: $35.99.